Lockport gasoline averages remain around $2.616 per gallon, according to AAA East Central’s weekly Gas Price Report. In the Mid-Atlantic and Northeast region, gas prices are cheaper on the week, dropping everywhere except in Washington, D.C. With a build of 546,000 barrels, the region saw the largest gasoline inventory increase in the country on the week. However, the region is also experiencing the largest deficit year-over-year, according to the latest Energy Information Administration (EIA) report. An uptick in imports is expected to help reduce the deficit. The national gas price average has been trending cheaper for 10 days. At $2.51, today’s price is three cents less than last Monday. On the week, 49 states are paying less at the pump for a gallon of regular gasoline. 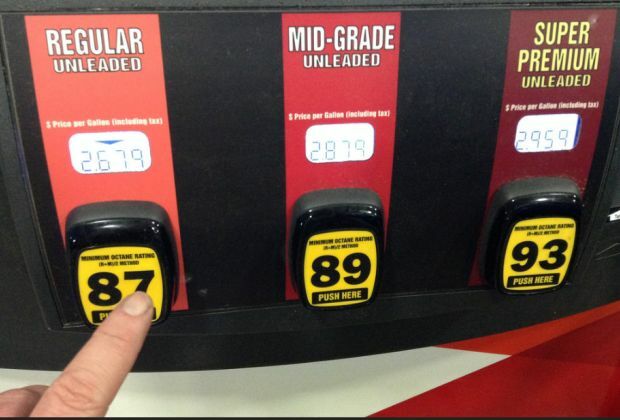 The District of Columbia and Hawaii saw their gas price increase by one cent. Prices have dropped between one and 15 cents elsewhere across the country. In 2017, gas prices have strayed from typical trends. Historically, year-end gas prices tend to be relatively cheap due to a drop-off in fall gasoline demand around Labor Day and the move to cheaper to produce winter-blend gasoline in mid-September. This year, the typical factors that drive gas prices down in winter were outweighed by the impact of two major hurricanes, steady consumer demand and continued growth in gasoline exports. While gas prices could decline between now and the end of the year, motorists will still pay the highest November and December gas prices since 2014. On Friday, West Texas Intermediate hit $58.95/barrel – a multi-year high that the price per barrel has not come close to since June 2015. Expectations for an extension of the current OPEC and Russian production cut until December 31, 2018 fueled this spike. OPEC and non-OPEC members of the production reduction agreement will meet this week to discuss the fate of the agreement, which is currently set to expire in March 2018. Market observers have been awaiting this meeting to see if agreement participants will take additional measures to restrict supply in the global market, which could push oil prices even higher.